It was easy to meet people through the rotational program I had started at Bosch in. “Everyone meets again at Bosch,” so the saying goes, and indeed despite working in offices separated by 1400 km in the USA, international assignments brought the two of us to Germany around the same time, this time only 180 km separating our offices. We chose to drive most of the 180 km in Scotland instead of Germany, flying in to Aberdeen and basing our trip out of Dufftown. Our trip started with a tour of The MacAllan distillery, which just saw an almost-$200 million renovation completed in July. 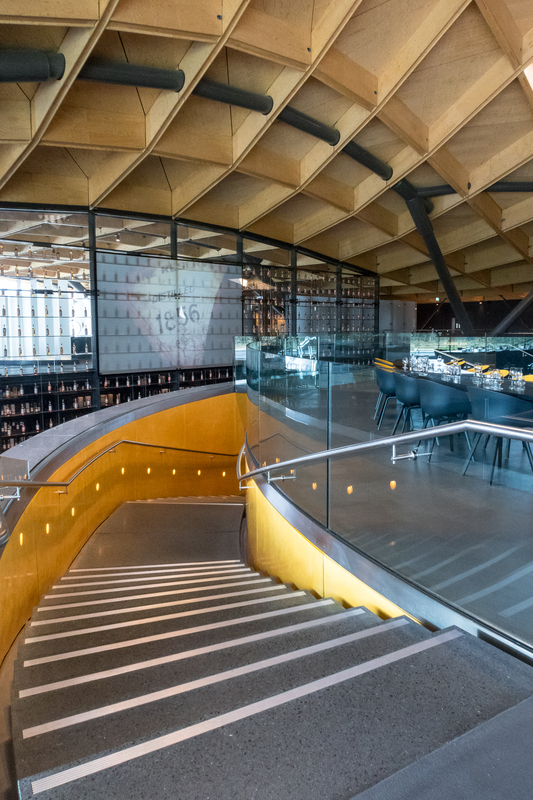 Like The Ohio State University, The MacAllan clearly enunciated the “The” in its name whenever mentioned, taking care to call out in its tour where its processes were intended to produce a finer result than that of its competitors. I lack the tongue to taste such intricacies myself, but the renovation was exceptionally impressive. 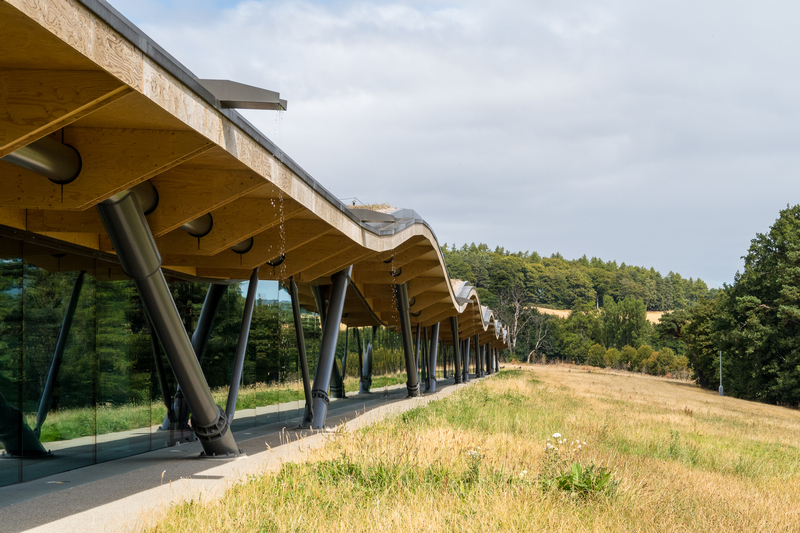 The building is stunning, blending and flowing into the Speyside hills despite the automated, steely technology inside. We weren’t allowed too close to any of the production equipment, but this was a far cry from smaller distilleries (the renovation marked a 50% increase in production capacity). Although all distilleries today run with fairly little manual intervention, the entire operation here could run with around a dozen workers. 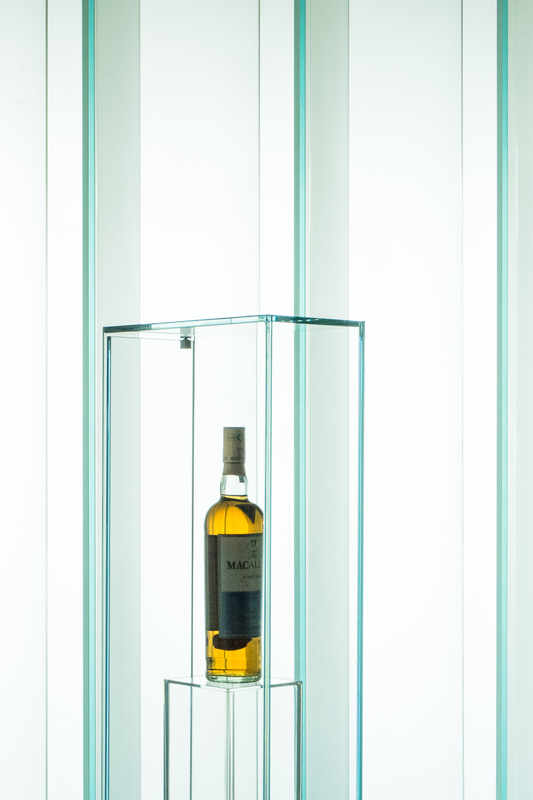 The rest of the building featured a tasting area overlooking the entrance, next to which a wall of some of The MacAllan bottles produced were prominently on display while a screen above showed some of the highlights of the brand. I left having tried The MacAllan for the first time, though I wasn’t convinced I liked this more than the smoky complexities out of Islay. But the grounds… I couldn’t get enough, and that’s why this post has been so focused on pictures from this one distillery. 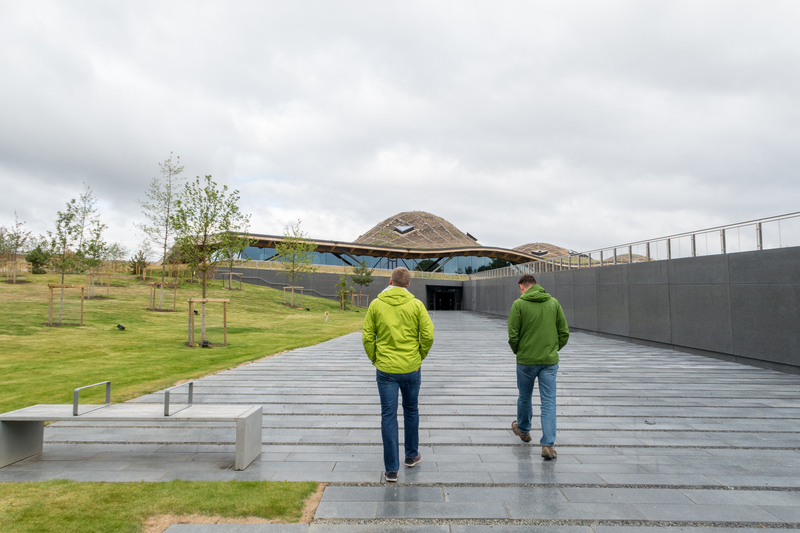 The landscaping was also quite exquisite and every bit reflective of The MacAllan’s premium market image. 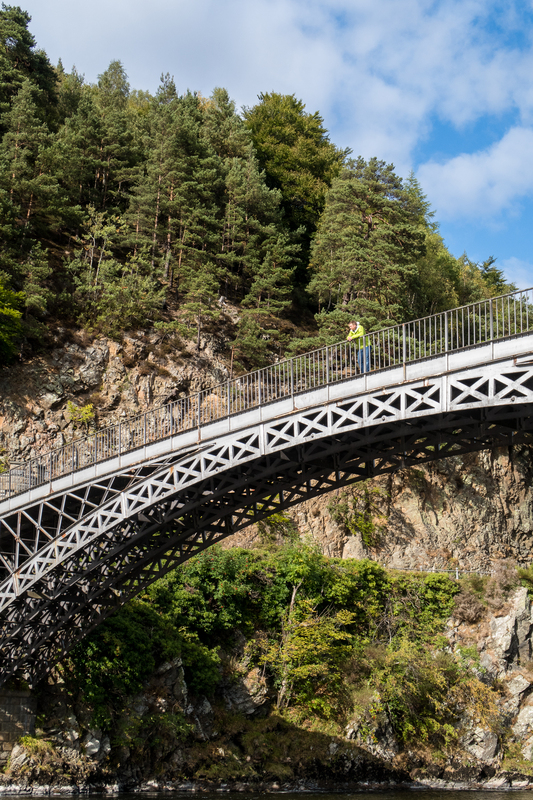 After a long, delicious lunch at Dowan’s Hotel and Restaurant, during which we realized our afternoon was mostly gone, we headed back to our Airbnb, stopping along the way at Craigellachie Bridge. We spent some time taking in the abnormally dry Scottish weather at the bridge, which spans the River Spey that gives the region its name. Earlier that summer, it was evidently even nicer; friends told me about weeks on end in June-July where there was nothing but blue sky. Our spell only lasted that afternoon and evening. The next morning, confirmation came in the form of rain, so with a reasonably late start we decided to visit a few more distilleries. 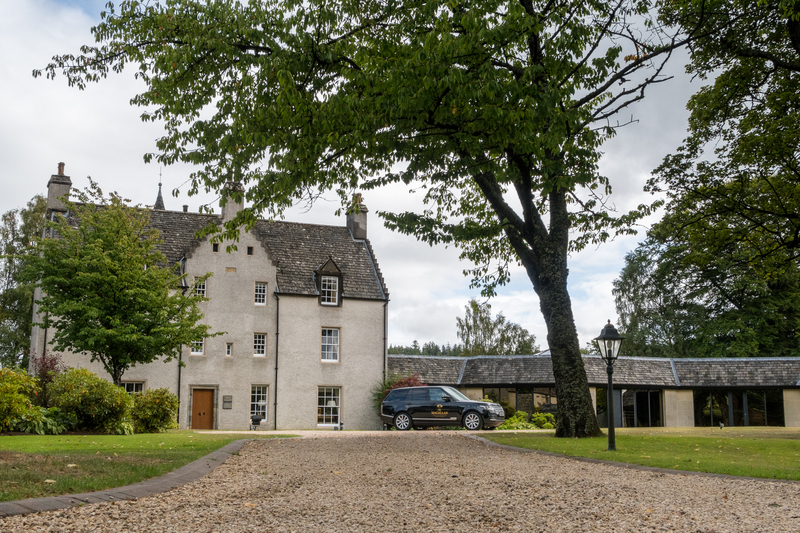 First, we headed to Glenfiddich, where my last trip to Scotland started. This time several parts of the distillery were closed for maintenance and renovation, so instead of a walking tour we were shown an animation of the various stages of whisky making. 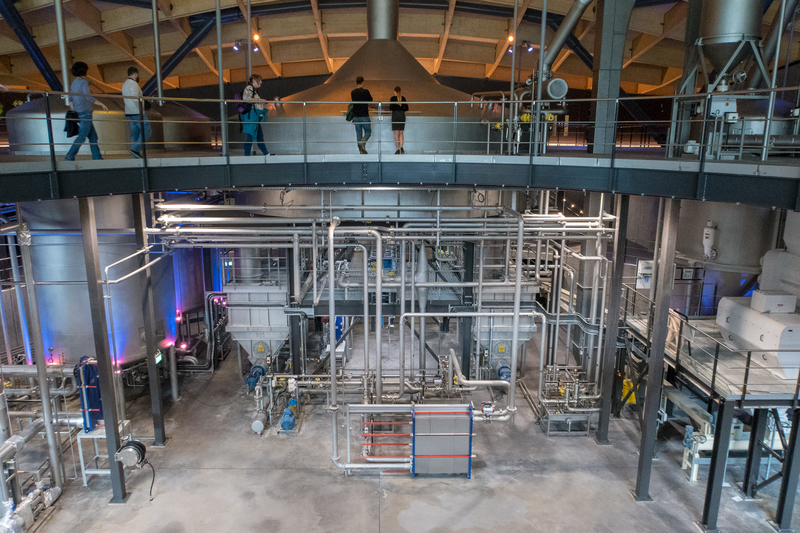 Having seen seven distillery tours by this point, I found the video quite interesting, as with safety reasons fully mitigated it permitted a much closer look into the equipment and process than a walking tour would. 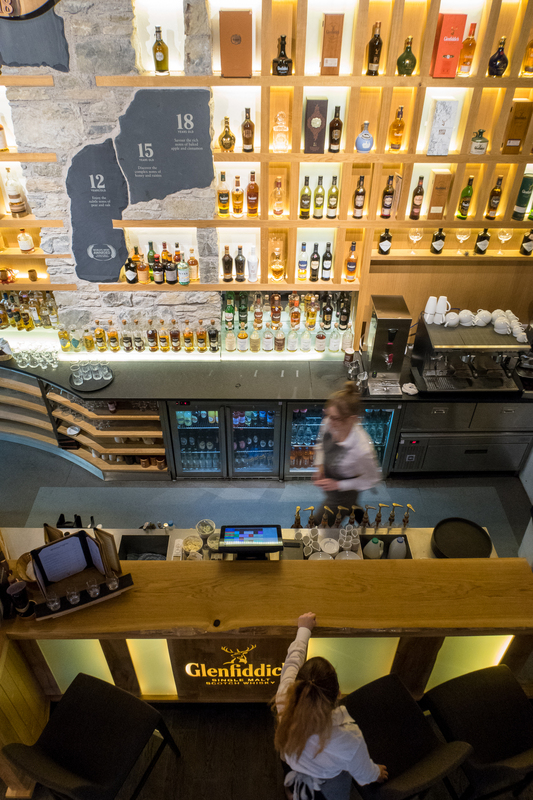 Prior to the start of the tour, we had a quick snack in Glenfiddich’s rather excellent cafe, which, apparently not uncommon at distilleries, also had a wall of its various spirits. We tried after our visit to Glenfiddich to tour Cardhu, but we missed their last tour so settled for a tasting. Remembering that the tour guide at the Glen Grant distillery was my favorite from my last trip, I suggested we try there as our last chance to see another distillery. We squeaked in as the last few slots in their last tour of the day. Satisfied with our visitation, we headed back to the apartment for the last evening before our return flights the next day. My friends’ flights were early in the morning, so we left well before dawn. 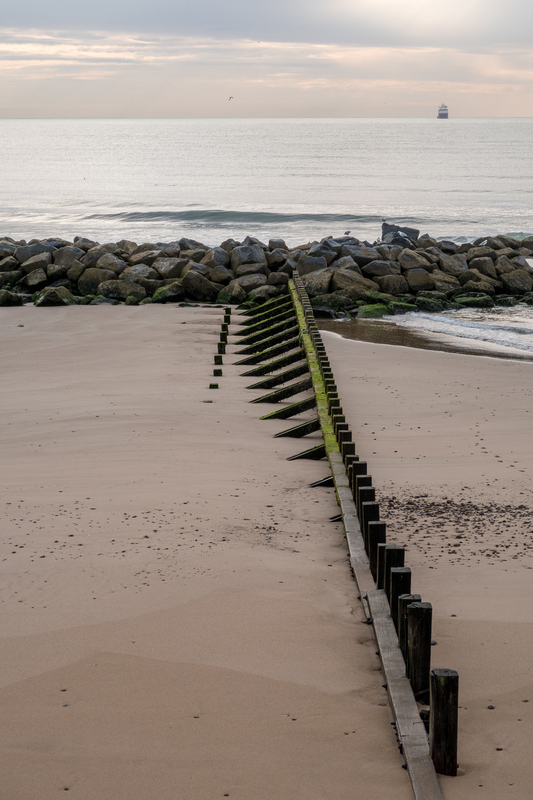 I drove into Aberdeen after dropping them off at the airport, finding a parking spot quite easily at the coast and settling into a nap before waking up for sunrise and taking a walk on the beach. It was dry, but with clouds on the horizon, sunrise didn’t dazzle with any special colors. I realized while shooting ponderously on the beach, however, that this is kind of how I had wished more of my European trips would go — rather than a flurry of activity on a weekend followed by a hectic work week before repeating in another city — that this slowdown in pace really allowed me to calm down, to take in the landscape, and find place rather than use the excusatory title of “tourist” to check boxes off must-do lists. It was two years prior that I realized how incredible Scotland’s landscapes would be with a dose of patience, and the reminder — coincidentally also in Scotland — on this trip helped set up the next trips I would plan for 2018 as well. I’m not sure I’m someone who travels to say that he’s “been” to a place, but as frustrating and stressful a work year as it’s been, visiting Scotland for just a weekend showed me again how best to spend time traveling — and how much a vacation done properly, even if it’s just for a weekend, can take the edge off the world of meeting minutes and escalations. I was told “A LOT of pounds!” Aged longer it becomes a matter of availability and scarcity hence a higher price. I found the older tasted smoother.